Imagine: military killer robots that could attack without human approval. Europe thinks that’s something the world is better off without — yesterday, the European Parliament passed a resolution that calls for an international ban of killer robots. But the U.S. and Russia have already said they oppose such a ban. 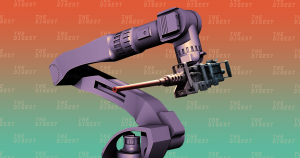 Both superpowers have pointed out that defining a killer robot is surprisingly difficult. And what about remote-controlled weapons that are already widespread? The U.S. Marine Corps has already tested a bot with a .50-caliber machine gun, and drone warfare has been a key element of the U.S.’s War on Terror. Amandeep Gill, the chair of a United Nations group that leads international discussions on lethal autonomous weapons, admitted last month that the “jury is still out” on whether existing weapon systems — like artillery that automatically shoots down incoming rockets and missiles — count as killer robots. If they do, it means that some countries are already in violation of Europe’s proposed ban. Members of Parliament hope the resolution will lead to an international killer robot ban during negotiations this November, the BBC reported. But during deliberations on the same topic in Geneva in August, according to that report, world powers including Israel, Russia, South Korea and the United States said they opposed such a ban. “Rather than trying to stigmatize or ban such emerging technologies in the area of lethal autonomous weapon systems, States should encourage such innovation that furthers the objectives and purposes of the Convention,” wrote the U.S. representatives in a memo to the United Nations in March. Bans like this have worked in the past — for example, the UN successfully banned the use of land mines globally in 1997. That might bolster advocates if UN member nations don’t put the moratorium in place in November.